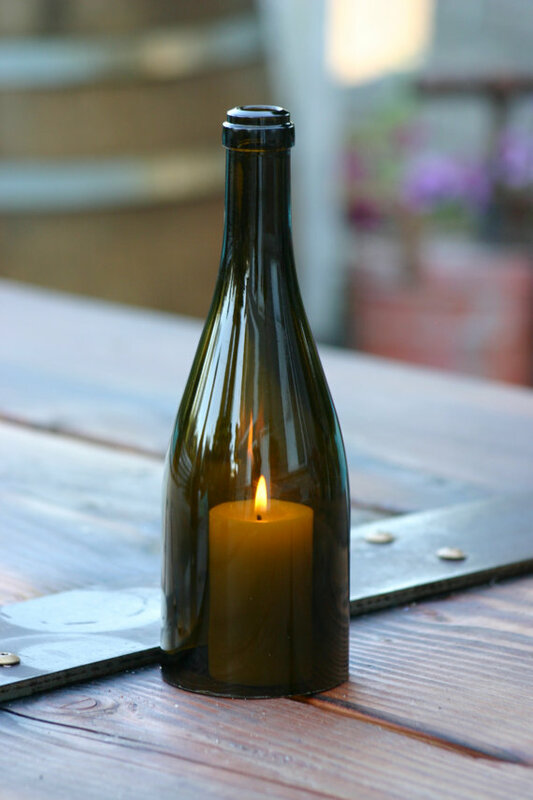 I have always wondered how to cut wine bottles to turn them into candle holders? 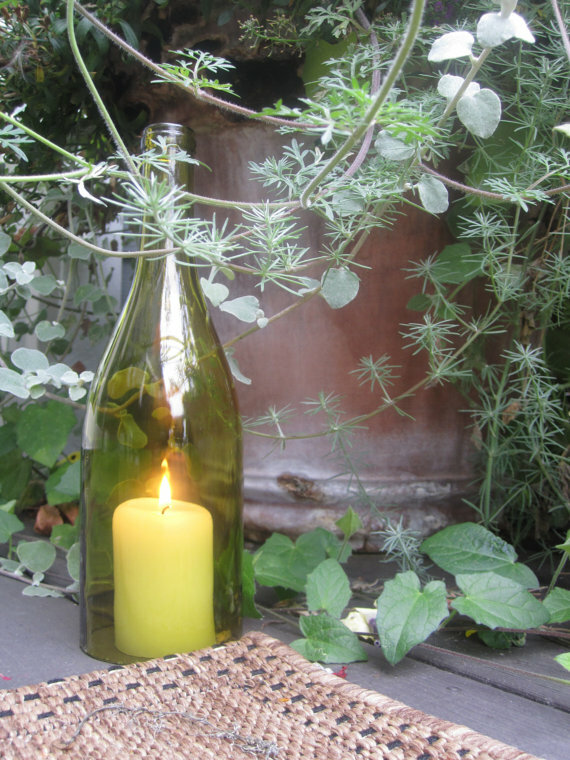 After reading this post, you’ll learn how to make candle holders using old wine bottles. 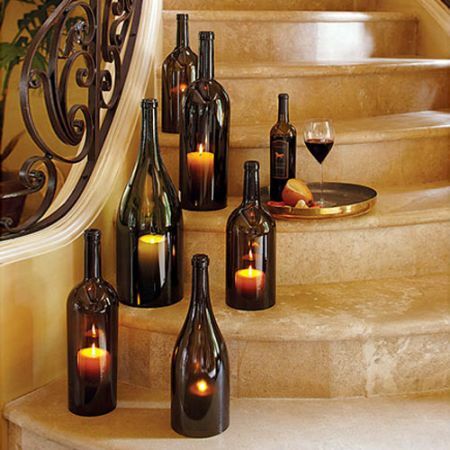 These wine bottle candle holder centerpieces when grouped together on tables give off a romantic glow or when you placed them along a path, they have this soft, ethereal light. This trendy tutorial is via this real bride‘s step-by-step instruction via Weddingbee. She was inspired by the picture above. For starters, gather as much old bottles as needed and remove the labels. To remove the labels, just use water, razor blades and goo gone to remove the sticky residue. Just have a few extra bottles just in case some of them crack or split while you are making them. After the labels were removed, you can start cutting the bottles yourself with instructions from this terrific video by Dan Rojas entitled how to cut wine bottles in 30 seconds. Tip: Just important note about safety: once the candle is burning, the top of the bottle will get extremely hot. So, please take caution if you will be touching it and be sure to keep away from children and pets.